Though Panna is mostly known for it’s forest, waterfall and temples.It has another unique feature that is attracting the whole world for last 2000 years. 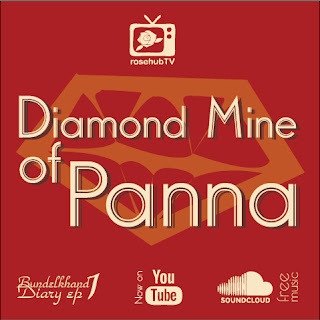 It is the Diamond mines of Panna. During 16-17 AD it was the capital of Maharaja Chhatrasal. Along with large Govt. and giant Private mines there are numerous domestics mines running all over the Kimberlite area of Panna. We visited a very small diamond mine during our journey in Bundelkhad reign of Madhya Pradesh, India.